Having some octopus decor is a must if you’re a beach dweller and really want to liven the place up. Nearly every beach house nowadays has some sort of cliché fish or turtle decor but where’s the love for the octopus? 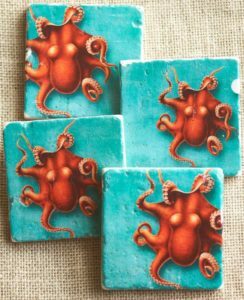 The octopus is an elegant, graceful creature and adding it your home is sure to spruce the place up a bit. 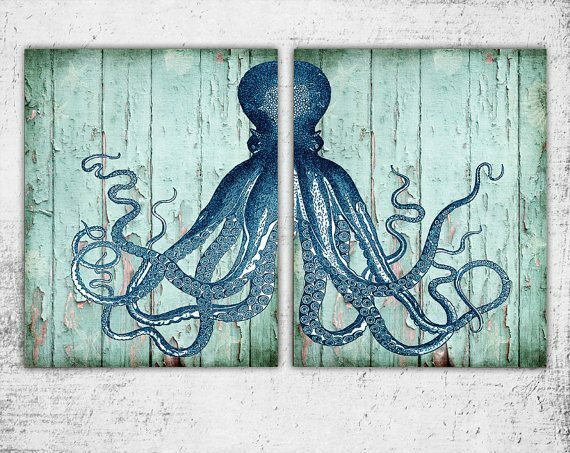 So below we have listed some of our favorite pieces of octopus inspired home decor and grouped them in which rooms we think they are best suited for. 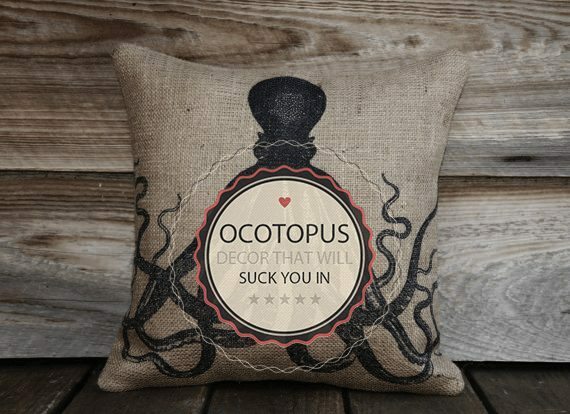 It wouldn’t be a living room without a pillow, and it wouldn’t be a beach living room without an octopus pillow. 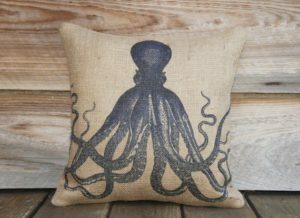 This little guy is made out of a burlap sack and looks great on a darker/browner colored couch (or even a wooden seat if you wanted it outside). Sick of your kids leaving their wet beach towels on the floor? Well get them one of these fun hangers for their room and they will be hanging them up in no time. The colorful/happy design is perfect for a young child/babies room and is a great way to introduce them to the various different sea animals. 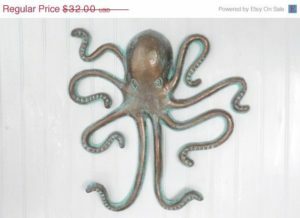 From Etsy store we found this gorgeous cast iron octopus that makes a perfect addition for your bathroom wall. 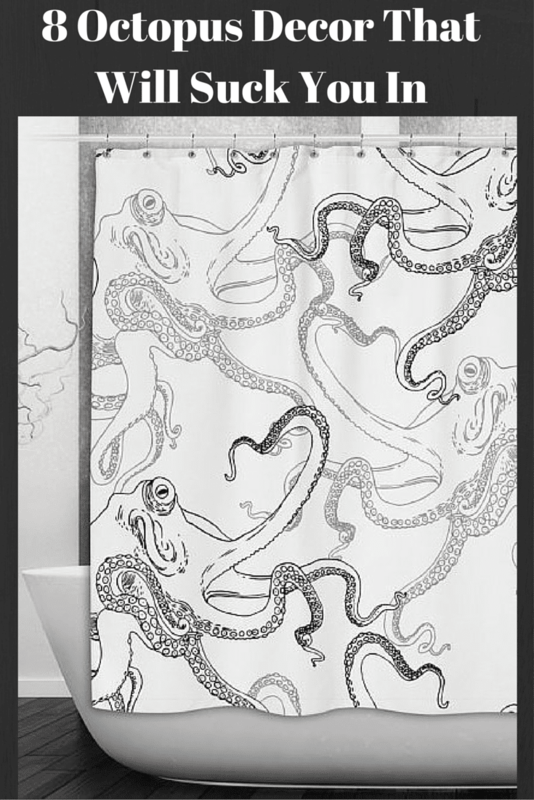 Octopi love the water right? So keep him in the bathroom! Another great item from etsy is this dual sign octopus that was made perfect for the bathroom. Having this one opposite the mirror is a great way to add some life to the otherwise dull bathroom. 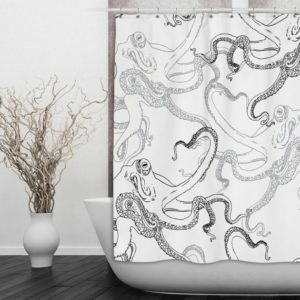 No beach house is complete without an appropriately themed shower curtain to match and this one from an Etsy seller is perfect. This beautiful design features a white background with black print, complimenting those darker bathrooms you may have. This little guy is perfect for the kitchen bench where it can store cooking oils or some other type of ingredients. 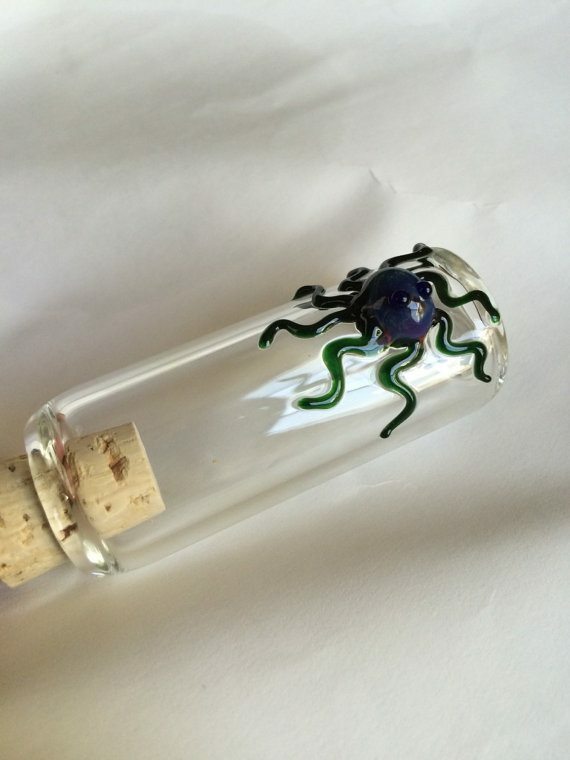 The jar is made from 100% american glass so you know it’s going to be high quality. One thing we can all probably agree on is that nearly everyone has the same style clock in their house. The generic, round, wall mounted clock has become boring and redundant in modern decor. Now’s the time to be different. 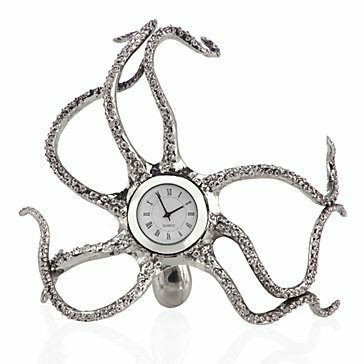 Pick yourself up one these octopus table clocks and place it on your kitchen bench to really make the kitchen a special place.